My apologies for the radio silence in recent weeks. I've been working on a number of side projects that have limited my time for posting. I plan to pick up the pace again in a few weeks' time, so thank you very much for your patience and continued interest. With the few minutes of downtime I have on this beautiful Sunday afternoon in Chicago, I did want to briefly discuss the importance of patience in this type of market. In fact, the most critical time for patient investing is when the market is riding high. When pessimism reigns and the markets are down, patience can actually be a negative characteristic to have as an investor. My biggest mistake during the financial crisis, in hindsight of course, was not being aggressive enough. Though I was able to make a good number of opportunistic investments in those dark days, my inclination to be conservative and patient ended up working against me as I let a number of eventual multi-baggers (Tractor Supply being the most regrettable) slip through my fingers. All else equal, though, I'd much rather err on the side of conservatism and patience. Yes, a few big winners will get away, but you'll also be more likely to avoid permanent losses of capital. The individual investor's greatest advantage is the ability to be patient. We don't have the pressures of clients telling us to invest when we don't want to. The choice is ours whether or not we want to take a swing and there's no penalty for inaction. Another baseball analogy that fits this principle is Ted Williams' "happy zone" approach to hitting. 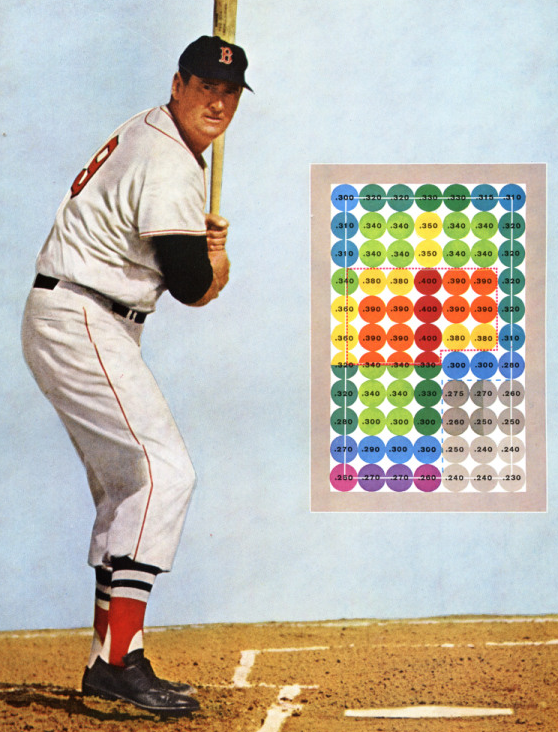 Williams, who I'd argue is the greatest hitter in baseball history, diagrammed his odds for getting a hit (a "success rate" to those who aren't familiar with baseball) based on where the pitch was thrown. The highest odds (.400) were obtained when a pitch was thrown right down the middle of the plate, about belt-high. Conversely, the lowest odds (.230) for getting a hit came when the pitch was low and away from his body. As investors, we can similarly think about our odds for success based on investor sentiment for individual shares and the market at-large. Lofty valuations and extreme optimism offer low success rates while cheap valuations and pessimism offer higher success rates. As Buffett rightly notes, there's no one telling individual investors to "swing" at stocks that don't offer high odds of success. So as we continue to look for opportunities in today's market, patience remains paramount. Wait for your opportunities and make each investment count.